In a digitally progressive world, people expect to have engaging and enjoyable experience in their personal life and workplaces too. How to define Employee Experience? All three aspects need to be thoughtfully designed to make employee experience unforgettable and worth praising. After all, it’s all about creating a culture of high productivity and positivity where employees happily work, contribute, grow and succeed. Poor experience will result in poor outcomes. Positive Employee Experience – A Growing Need! A report by Deloitte stated that, “Nearly 80 percent of executives rated employee experience very important (42 percent) or important (38 percent). However, only 22 percent reported that their companies were excellent at building a differentiated employee experience.” Statistics and reports suggest that it is important to move beyond business performance, customer satisfaction and focus on employee experience. Another research by Deloitte states that 59 percent of survey respondents are not ready or only somewhat ready to address the challenges that ruin employee experience. As the outset, HR can rebuild strategies and programs to keep the workforce happy and satisfied. All the factors influencing employee happiness and satisfaction need to be taken care of. When it comes to employee satisfaction, one-size-fits-all approach does not work. What may work in favour of an employee may not be relevant for another. Employers can move beyond and make a radical change by offering positive and healthy work environment, employee self-services tools, frequent performance feedback, rewards, learning and development opportunities and more. Employers need to invest on all aspects of an employee lifecycle that can truly make a difference. Improving employee experience refers to creating a positive work environment that keeps the workforce satisfied, engaged and motivated. It boosts workforce productivity, reduces employee attrition and improves chances to attract and retain top talent. 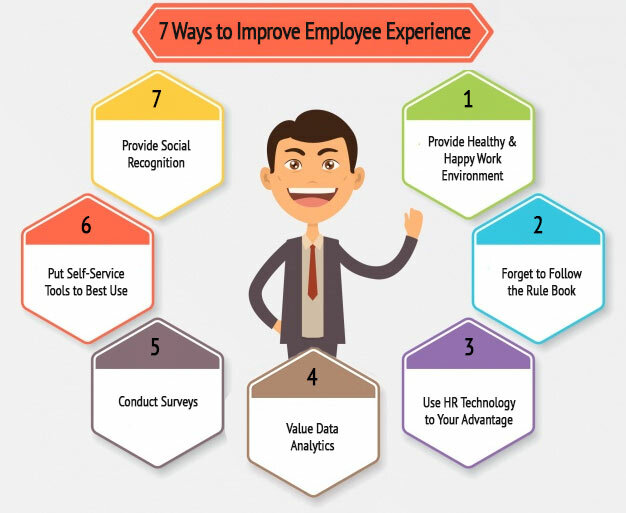 Here are few ideas to improve employee experience at your workplace. Keep up the liveliness at your workplace. Employees can have great experience in an environment where happiness prevails. Offer wellness, fitness programs and recreational activities. Interact with employees on regular basis to understand their needs; and put efforts to fulfil them. Support employees to make healthy eating choices and meditate to restore energy. Make them feel valued in all possible ways. Sometimes, it is good to not obey the rule book. Change the rules (unless it damages company discipline or reputation), if giving flexibility to employees can keep them motivated and happy. For instance, provide flexible work hours to help them maintain work-life balance. Provide them tools to manage work from anywhere, at any time. This will not only give flexibility but make your employees accountable. A modern workplace is expected to have all the latest technologies to keep the employees productive always. Teams collaborate better with the help of HR tools. These tools offer abundant features and functionalities to have excellent team collaboration for communication, project management and beyond. Features like instant messaging, 360 pulse feedback, goal setting, monitoring task progress, etc always keep employees a step ahead. No doubt, HR technology solutions integrate with in the workplace to offer a better employee experience. Data analytics helps to understand employee needs better. Reports and dashboards provide insights into employee related processes, such as employee benefits, promotions, talent management, performance management trends 2018, and more. The management can make data driven decisions and action plans accordingly to meet employee needs. In this way, it positively impacts employee engagement, satisfaction level and emotional quotient. Let employees voice out their opinions through surveys. Be it anonymous or not, conducting surveys at workplace gives opportunity to openly put thoughts forward. Surveys are the best way to know what employees think and feel about the company. When employees participate in surveys, they feel valued as they get an opportunity to express their opinions. Today, self-service tools have become a popular trend in workplaces. These HR tools enable employees to access and manage their own data and eliminate the need of face-to-face interactions even for simple tasks, like identifying leave balance, viewing salary slips, declare annual investments, request travel reimbursement, etc. It saves time, effort and allows employees to focus on productive tasks. This surely offers positive experience to the workforce and improves employee engagement. Create a culture of continuous recognition. Remember that recognition results in repetition. Recognize employee efforts and reward them for their achievements. Recognition and rewards is certainly a better way to appreciate employee efforts and make their experience better. 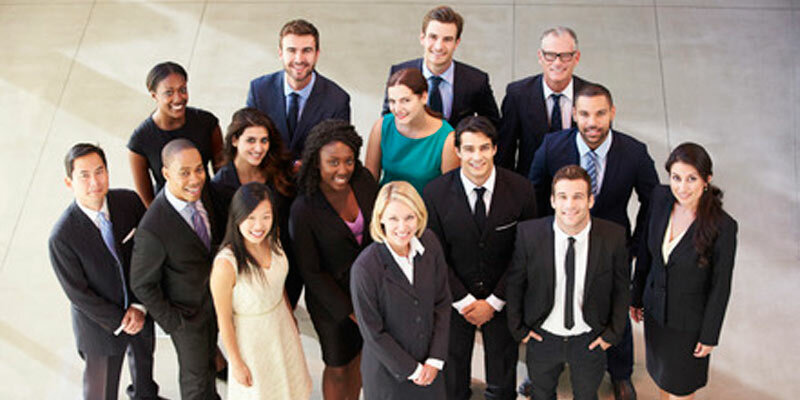 Employees that are recognized are more likely to remain engaged and retained. A survey by Glassdoor Inc. stated, “Companies with a great employee experience outperforms the Sales and Performance by 122 percent.” In 20018, endeavor to create a satisfied workforce with positive business outcomes by providing best employee experience.